War between US and Turkey? 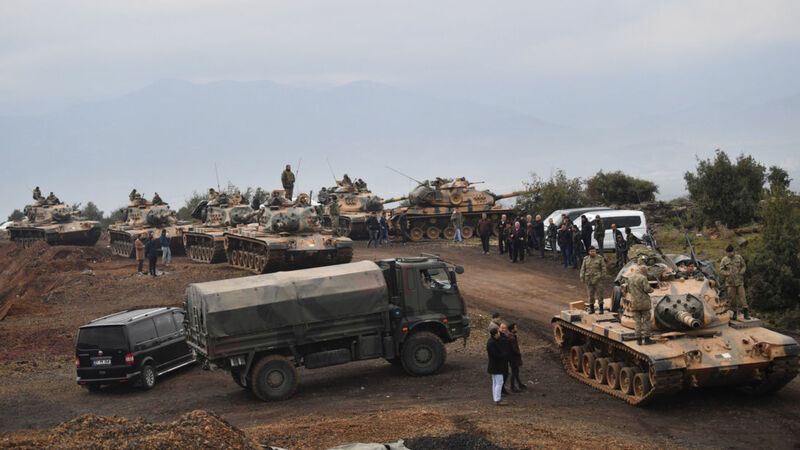 Villagers watch as Turkish army tanks and soldiers gather near the Syrian border on January 21, 2018 at Hassa, in Hatay province. As the war in Syria winds down with the military defeat of ISIS, the different imperialist and sub-imperialist powers are maneuvering to stake their claim to various parts of Syria. In recent years, US imperialism was aligned with Russian and Iranian imperialism in Syria. They all collaborated to keep Assad in power in order to defeat Islamic fundamentalism. Arriving late in the game as a major player, US imperialism found the forces of Kurdish nationalism as their allies and representatives. These are the Kurdish Democratic Union Party (PYD) and its armed wing, the People’s Protection Units (YPG). The US armed the YPG and its affiliate, the Syrian Democratic Forces (SDF). As the SDF moved westward, US war planes provided air support. 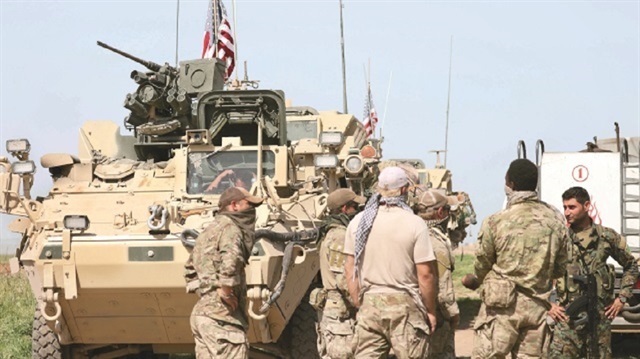 US Special Forces continue to patrol the SDF controlled town of Manbij, which is just miles from the border with Turkey. For the the Turkish Erdogan regime, this is anathema. They have lived partly off of suppressing the Kurds for years and now they are in dread of a movement for a separate Kurdish state. Erdogan also dreams of the rebirth of a new Ottoman Empire. For awhile, his regime had supported some of the Islamic rebel factions in Syria, which brought him into conflict with Putin. But now the “Kurdish question” is driving him back towards Putin as his regime pushes to crush the SDF in Afrin. What will the Trump administration do? There are a reported 2,000 US troops in Afrin. These troops are working with the Kurdish forces there. Any Turkish invasion will almost inevitably mean a direct clash between these two forces. This is something both sides would dearly like to avoid, especially since Turkey is a Nato country. US imperialism would have no problem abandoning their Kurdish allies to the tender mercies of Turkish imperialism, just as they did with the Kurds regarding Saddam Hussein during the first Gulf War. But doing that would really discredit US imperialism in the region and, in fact, in the world. So will this lead to a more widespread military confrontation between these two? Certainly the Russian imperialists would like to see that happen. Then there’s the question of the future of Nato. 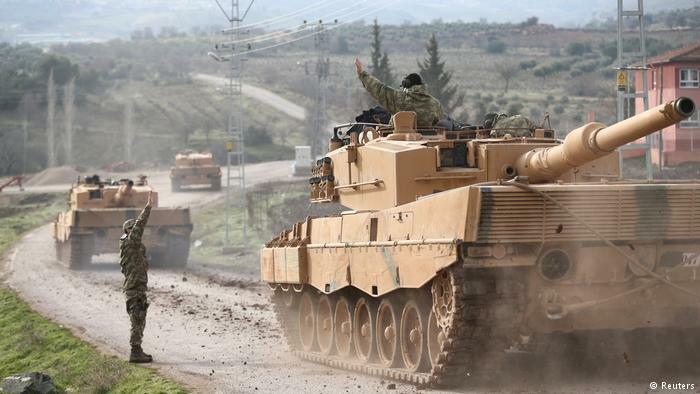 If there were an open clash between the US and Turkey, what would happen to Nato? Would it start to crumble? As for the SDF: It has clearly made some positive steps, the most important of which has been for the liberation of women. There are too many reports to be ignored of suppression of political opposition and of suppression of Arabs in the areas they control, though. As with their alliance with US imperialism, it is not ruled out that they will also ally with the racist State of Israel. The struggle of the Kurdish people for their national rights, up to and including their right to their own nation, is completely legitimate. The question is whether it can ever be achieved unless it is part of a wider working class struggle throughout the region. This means linking it up with the struggle for socialism. Without that, the Kurdish people will just continue to be bounced around like a ping-pong ball by the different imperialist powers, and their movement will continually tend to ally with one or the other of these imperialist powers. 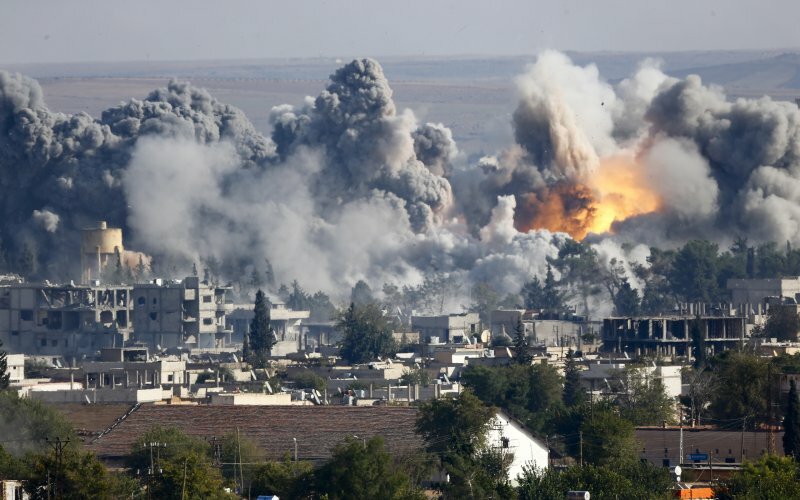 Overall, we see the new stage in the war in Syria open up. The different imperialist and sub imperialist powers who were cooperating in keeping Assad in power (Russian, Iranian, and American imperialism first and foremost) are now starting to turn on each other. Meanwhile, it will be the masses of Syria and of the entire region who will suffer. Such scenes will be replayed around the world as the old world imperialist order crumbles, unless a mass, revolutionary workers movement intervenes.